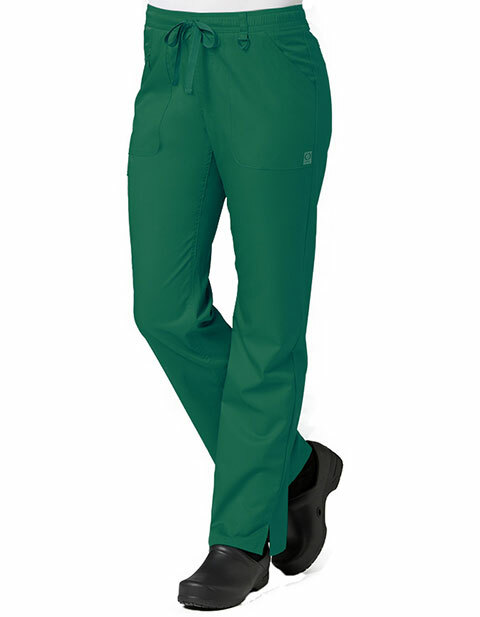 Pair up your mock wrap scrubs and tops with these full elastic cargo pants by Maevn. 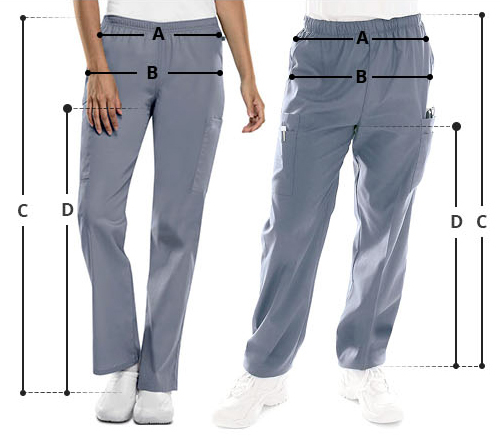 Designed for ladies with a petite built, the pants will offer a flattering fit. These are straight leg pants with buttonholes for the dyed-to-match drawstring, dyed-to-match triangle ring on the belt loop, two front slant patch pockets with inner cell and zipper pocket. Moreover, side vents complete the look.